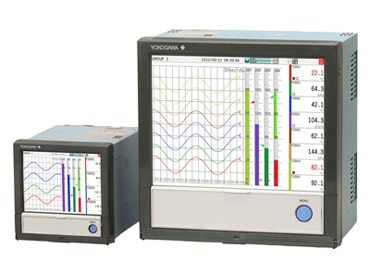 The DX1000 & DX2000 are button powered, paperless recorder that deliver industry leading reliability and measurement accuracy. Its custom graphics accomodates application or process-specific displays, while a wide range of communication protocols guarantee compatibility with your network architecture. It’s simple for operators to view and retrieve past data with automatic email and FTP notifications. The DX1000N is a button powered, paperless recorder that delivers industry leading reliability and measurement accuracy. It’s inner chassis can be removed from the case via the front panel of the instrument. This provides access to all of the internal components of the DX1000N from the control panel without having to access the rear of the unit or disturb any of the field and power supply wiring. 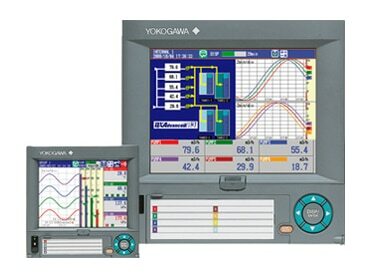 Functionality, appearance, and panel cutout dimensions are the same as those of the standard DX1000. The GX10 & GX20 are touch screen, paperless recorders that have a multi-point touch panel, designed to provide intuitive and smart operator control. Users can scroll, pan, zoom historical data, and even write freehand messages on its dust-proof and water-proof display. 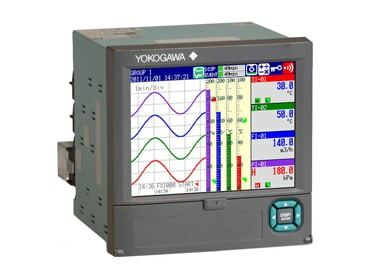 The GX series also delivers industry leading reliability and measurement accuracy. 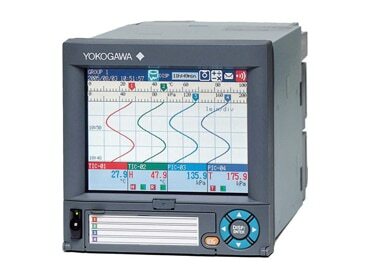 The GX20W is a paperless recorder that includes a gateway function for ISA100 field wireless systems. It also displays data from various kinds of wireless field devices, and measured data from I/O modules on the main unit in real time. The FX1000 paperless recorder exceeds customer expectations for quality, high performance and capability—at a price that meets the needs of a cost-sensitive market. FX1000 combines a clear view of process data with highly reliable recording and efficient data access. Network file transfer and web browser viewing improves efficiency and saves time. 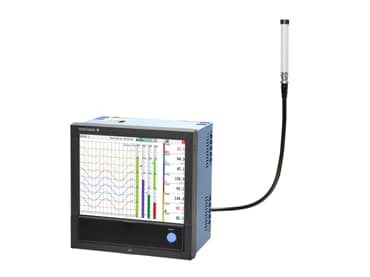 In addition, FX1000 has the ability to monitor power consumption and record energy usage for diagnostic, preventative maintenance and cost savings.